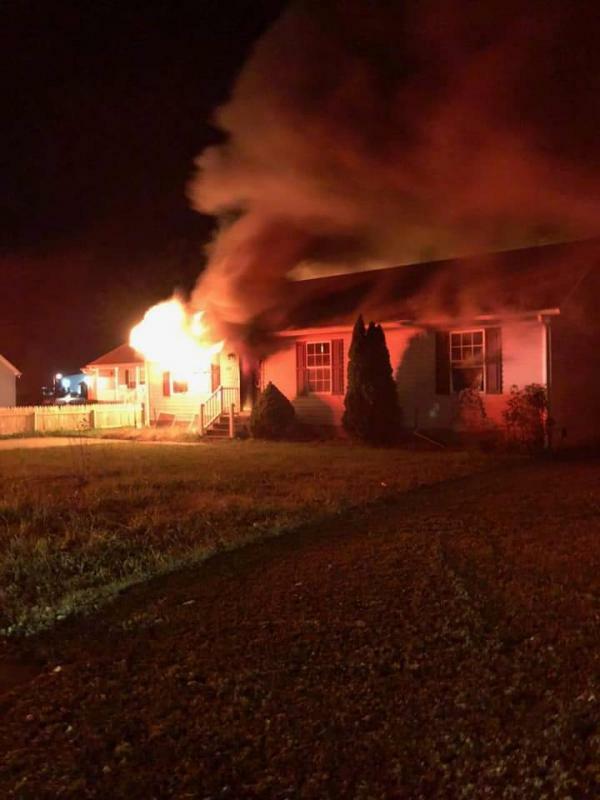 The Worcester County Fire Marshal's Office is investigating a residential house fire at 724 Ninth Street which occurred on Wednesday evening, October 31, 2018 at 10:15PM. Firefighters from Pocomoke, Snow Hill and Stockton responded to the scene. Arriving firefighters found heavy fire showing from the front of the house. It took firefighters an hour to control. 2 people were home at the time of the fire and escape uninjured. 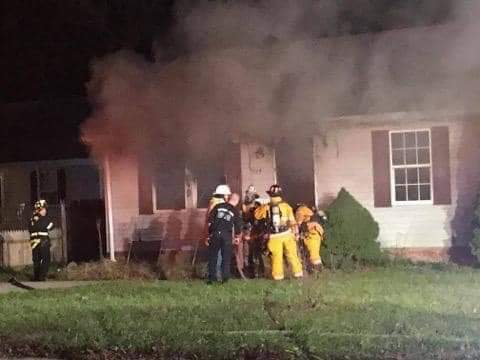 A firefighter was transported to the hospital after experiencing chest pains while battling the blaze. The house was owned by Catina Davis and occupied by Perry Schoolfield. 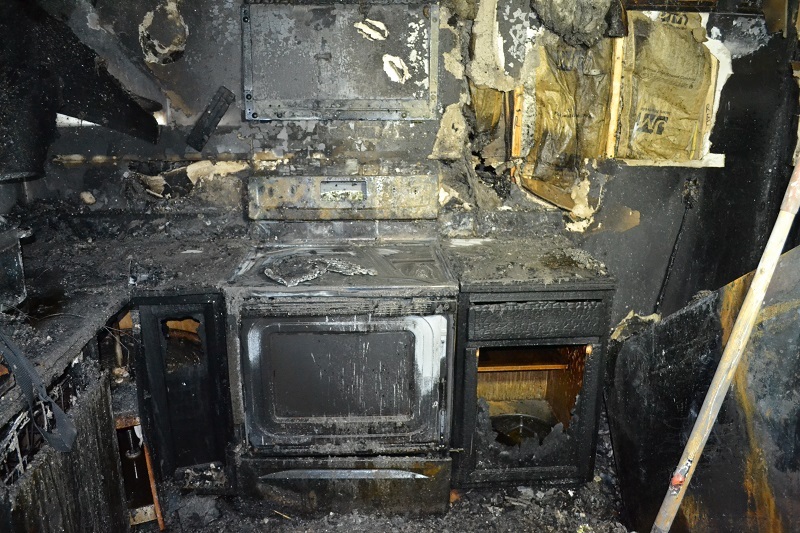 The fire is listed as accidental and contributed to unattended cooking. PHOTO CREDIT - Pocomoke Vol. Fire Co. 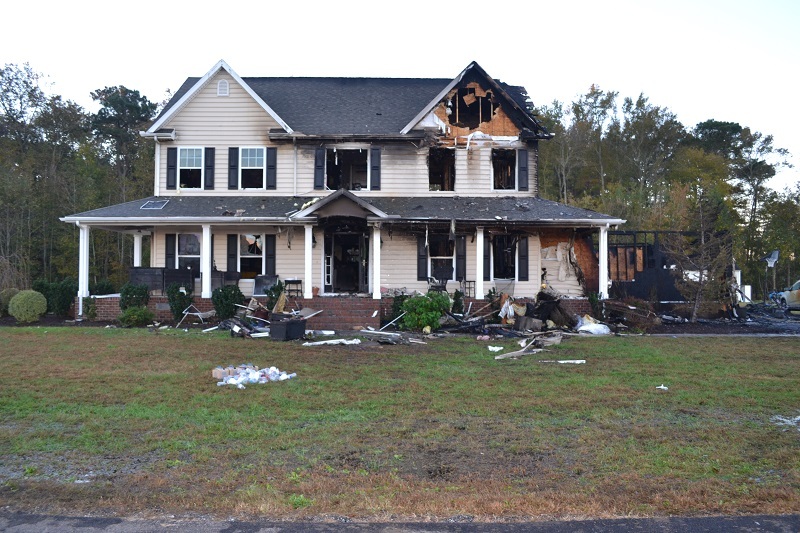 The Worcester County Fire Marshal's Office is investigating a residential house fire at 12671 Murray Road which occurred on Sunday evening, October 28, 2018 at 11:18PM. Firefighters from Showell, Berlin, Bishopville, Ocean Pines, Powellville, and Selbyville responded to the scene. Other companies from Wicomico and Sussex Counties assisted. 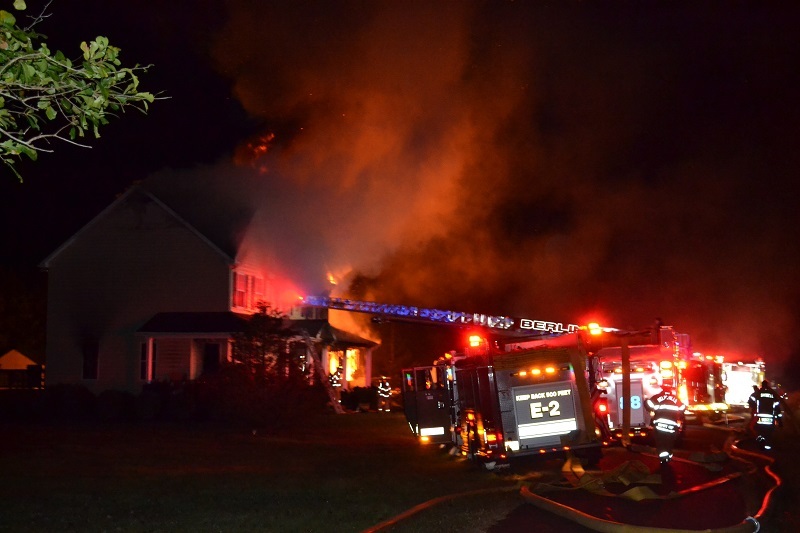 Arriving firefighters found heavy fire showing from the garage and upper 2nd floor roof areas. It took firefighters over 2 hours to control the fire and they remained on the scene for 9 hours. 5 people were home at the time of the fire and escape uninjured. However a family dog did perished in the fire. The house was owned and occupied by Andrew and Lora Luzier. The cause of the fire is still under investigation. October is National Fire Prevention Month. 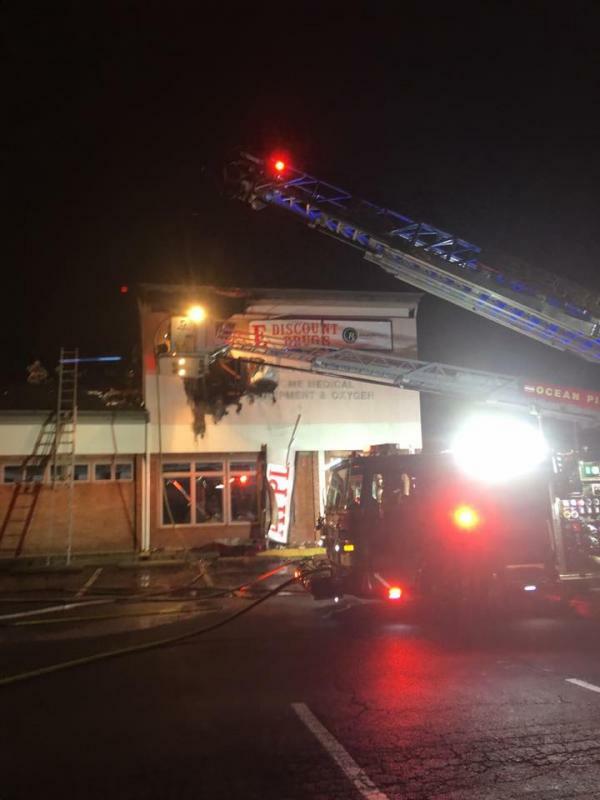 The County Fire Marshal's Office, along with the County's Volunteer Fire Service will hold many Fire Prevention activities throughout the month. Please check with your local fire company for details on dates, times and events. The County Commissioner's will present a County Proclomation to County Fire Marshal Jeff McMahon and the County's Fire Servie on Tuesday, October 4, 2018 during their regular meeting. If you would prefer to leave the fireworks to the professionals, there are several events scheduled across the county. Snow Hill's spectacular Fireworks display to celebrate the 4th of July has been scheduled Saturday, June 30, 2018 in Sturgis Memorial Park. Fireworks are expected to begin at dusk, close to 9:15 pm. Bring your family, friends and lawn chairs to see this great fireworks display over the Pocomoke River. There will be food provided by the Snow Hill Rotary Club, ice cream and drinks available prior to the fireworks. Bouncey houses and face painting will be provided for children. Join your friends and neighbors as we celebrate Independence Day at Berlin Falls Park with the 3rd annual Fireworks display. Fireworks begin at 9:15, vendors located across the street at Burley Oak Brewing Company. Parking is available for viewing at Berlin Intermediate School and also at Berlin First Baptist where additional activities are planned. Enjoy a free concert by Triple Rail Run at 8 p.m., followed by fireworks at 9:30 p.m. on the beach at N. Division Street. For more information, call 800-626-2326 or 410-250-0125. Enjoy a free concert by Mike Hines and the Look at 8 p.m., followed by fireworks at 9:30 p.m. at Northside Park on 125th Street. For more information, call 800-626-2326 or 410-250-0125. Join the Ocean Pines community for a special fireworks display sponsored by the Ocean Pines Association. The fireworks display will begin shortly after dark. Recommended viewing locations are Showell Elementary School, the Community Church at Ocean Pines, Most Blessed Sacrament School and The Pavilions. The rain date for this event is Thursday, July 5. Join the Ocean Downs for a special fireworks display. The fireworks display is scheduled for approximately 9:30PM. Recommended viewing locations are at Ocean Downs. Join the community of Girdletree for this fireworks display sponsored by the Girdletree Vol. Fire Co. and the 1st Baptist Church of Girdletree. The fireworks complete a full day of fun during Girdletree's annual community day. Fireworks are scheduled for 9:15PM. 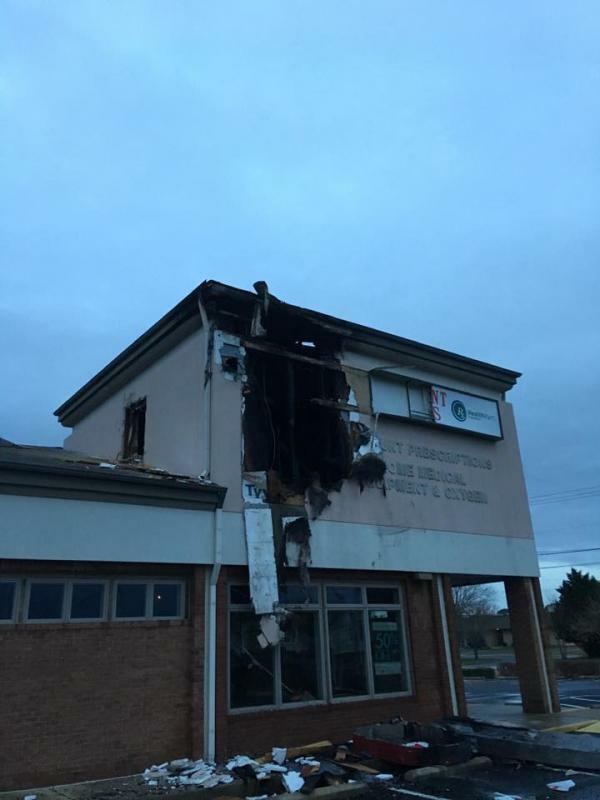 On Thursday, June 21, 2018 the Berlin Fire Department was alerted for a fire at the Glen Riddle Club House at 11620 Maid At Arms Lane in Berlin at 8:17AM. 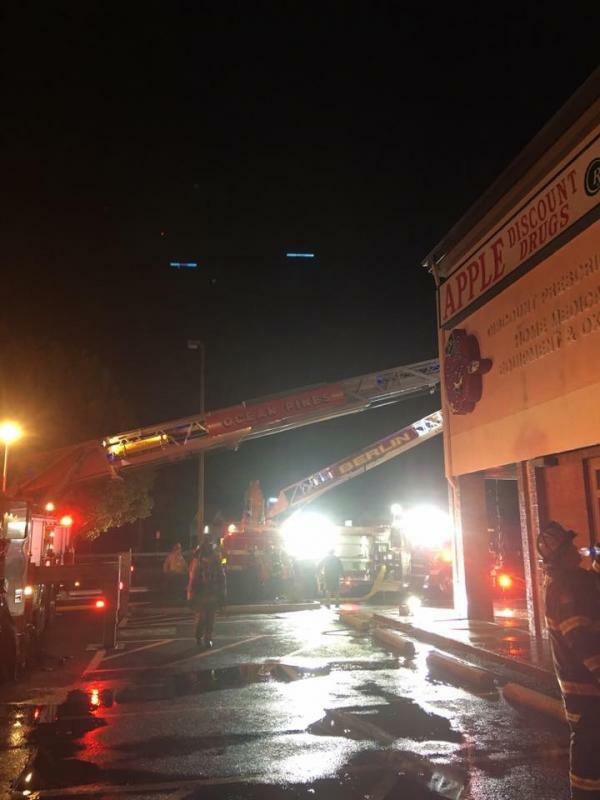 Arriving firefighters found a fire in the woman's sauna extinguished by a single commercial fire sprinkler. 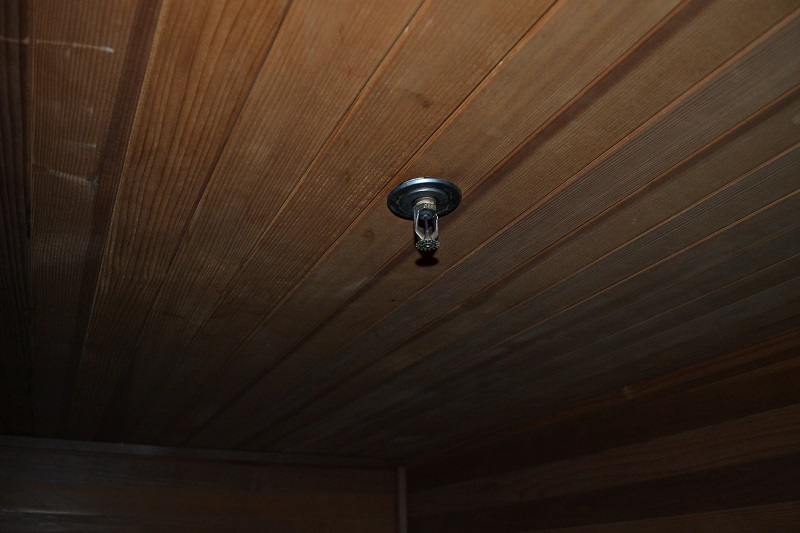 The cause of the fire listed as accidental and contributed to a heating element in the sauna. Questions should be directed to Chief Deputy Fire Marshal Matt Owens at 410.632.5666 ext. 2 or mowens@co.worcester.md.us .